The Willow School is committed to preparing children for success in primary school by providing a standard of excellence in academic rigor alongside a delightful, engaging, and fun environment. At the Willow School we are dedicated to maintaining a community where we focus on the whole child. We provide high quality faculty utilizing effective learning tools in an effort to foster independent thinking, creativity, responsibility and respect for others. 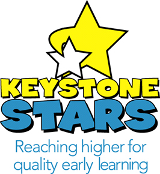 You now have a choice for Premium Quality Child care Norristown pa.
Quality of teachers, staff, onsite owner; quality of education - project approach. STAR 4 out of 4 quality rating. Day care Norristown pa.
Spanish speaking teachers and staff. Hours of operation (6:30am - 6pm) Monday-Friday.